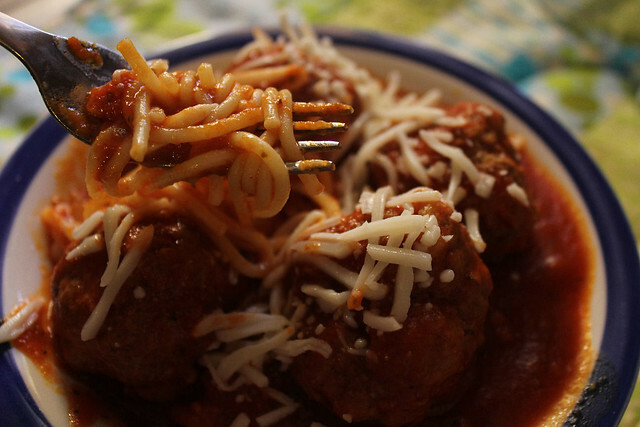 Another great recipe for meatballs. 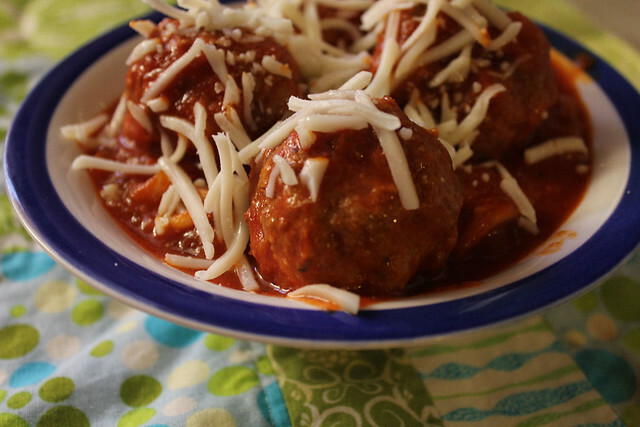 The recipe itself called for the sauce to simmer for an hour and to make the meatballs separately and then add them to the sauce, but in an effort to save time, I put the meatballs in from the beginning and simmered everything for about 45 minutes to an hour on medium low. Cook 1 onion and garlic in olive oil: add sugar, salt, oregano, tomato sauce, tomato paste and water. Bring to a boil; reduce heat. Simmer for 1 hour. Combine remaining ingredients; shape into balls. Brown meatballs in skillet; cover with sauce. Cover for 30 minutes. NOTE: I placed all the sauce ingredients in the pan, turned the heat on and then got the meatball mixture combined and the meatballs shaped, then just dropped them into the pot and covered. 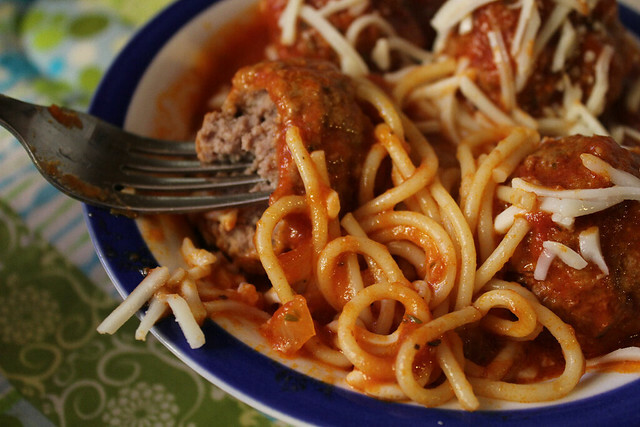 There's nothing quite like a bowl of spaghetti with tons of sauce and delicious meatballs, is there? I should just make it a rule, right now, to never visit your blog on an empty stomach! Your pictures are so gorgeous.